Federal judge denies Texas attempt to block Syrian refugee resettlement. 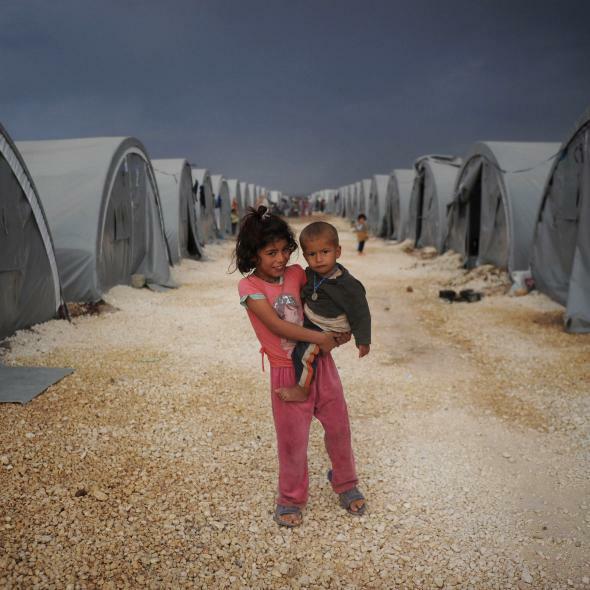 Kurdish refugee children from the Syrian town of Kobani at a camp in the southeastern Turkish town of Suruc in October 2014. A federal judge in Texas denied Monday the latest attempt by Republican lawmakers in the state to block the resettlement of Syrian refugees there. This is the second time U.S. District Judge David Godbey has thwarted Republican efforts to bar refugees being sent to the state; he denied an emergency order filed in December. On Monday, Godbey denied a preliminary injunction in a suit brought by the Texas Health and Human Services Commission against the federal government and the International Rescue Committee, the nonprofit coordinating the resettlement program. Godbey, a Republican appointee, however, didn’t make the case that the Obama administration and others have made that the refugees are just that, not ISIS-affiliated terror threats; rather, Republicans in the state, he says, are asking the federal judiciary to do what conservatives regularly complain about by overruling another branch of the government, in this case the executive branch.